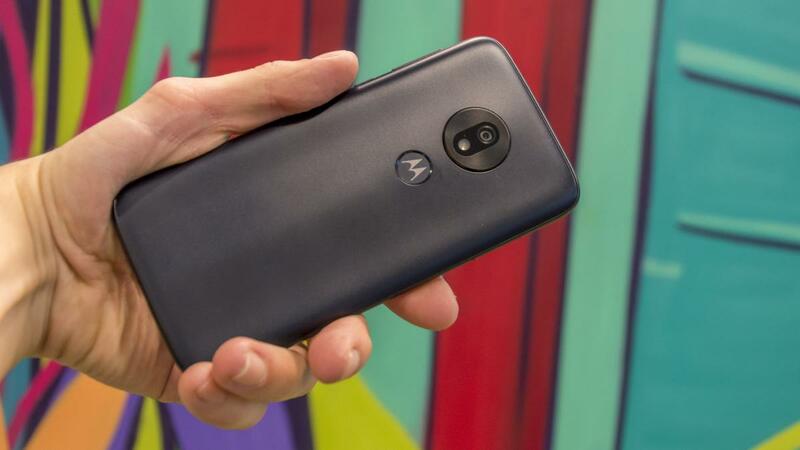 Of all the brand-new smartphones Motorola decided to launch before MWC kicked off, the Moto G7 Play is perhaps the least interesting. While the Moto G7 Power will likely draw admiring headlines with its huge 5,000mAh capacity battery, and the G7 Plus is equipped with high-powered internals, the cheaper G7 Play is much of a muchness. As you might have guessed, the Moto G7 Play is the cheapest of Motorola’s new smartphone quadruplet. It lacks the fancy internals, high-definition screens and intriguing camera arrangements of the other three, and instead has to make do with a slightly pared-down approach in order to keep costs at a minimum. What you do get is a – frankly rather small – 5.7in LTPS screen at a resolution of 1,5,12 x 720 on the front of the phone, complete with a broad top notch, as opposed to the dipped notch sitting on the Moto G7 Plus. The phone itself is constructed almost entirely from plastic, weighs 149g, and can be picked up in either “Deep Indigo” or “Fine Gold” finishes. There’s a rear-mounted fingerprint reader on the back, which sits just underneath the camera housing and single LED unit, and the Moto G7 Play’s 3,000mAh battery is topped up via USB Type-C connection at the bottom, supporting charging speeds up to 5W. Powering the Moto G7 Play (as well as the Power and regular G7) is Qualcomm’s latest budget chipset, the Snapdragon 632 processor. This 14nm architecture chip is clocked at 1.8GHz and, according to Motorola, is 60% faster than last year’s Moto G6 Play. It’s supposed to be more power efficient, too, so the phone should last longer on a single charge. It also includes an embedded Adreno 506 GPU for gaming. The 2GB of RAM inside the Moto G7 Play is a bit worrisome, however. Down from the 3GB of RAM inside last year’s Moto G6 Play, I expect this year’s budget smartphone won’t feel quite as rapid in operation, and might struggle when running multiple applications. Most low-powered Android smartphones are powered by a tailor-made version of Google’s mobile operating system called Android Go. This uses smaller, lighter “Go” versions of a core selection of apps to allow cheap smartphones to run more smoothly than they would with regular Android. The Moto G7 Play doesn’t benefit from this and instead runs full-fat Android 9 Pie. Rather than following the dual-camera trend, the rear of the Moto G7 Play incorporates a single 13-megapixel camera unit complete with a rather-narrow f/2.0 aperture. That might not sound very impressive, but the camera does at least benefit from phase detection autofocus for super-snappy captures and is capable of shooting 30fps footage at a maximum Full HD resolution. An 8-megapixel f/2.2 selfie camera sits on the front of the phone. If funds are running low in the Christmas spending aftermath, and you’re in dire need of a smartphone upgrade as 2019 finds its footing, then the Moto G7 Play might still be a solid choice. 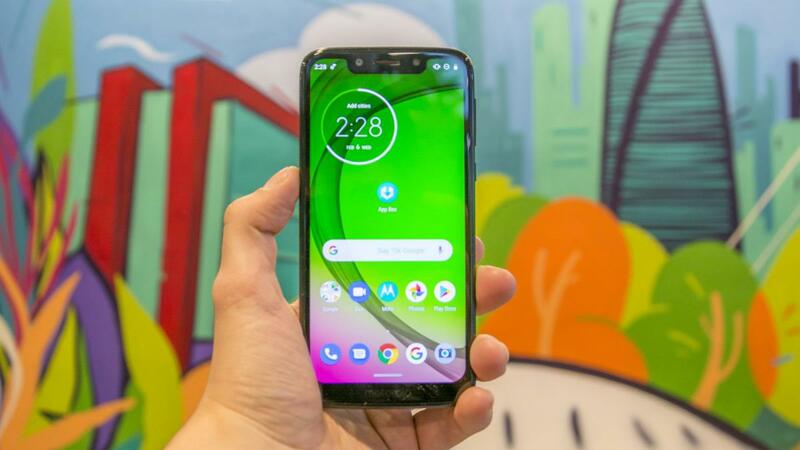 Its specifications aren’t nearly as intriguing as the rest of the lineup, and there are some similarly-priced phones that are doing things a little better, but the Moto G7 Play still offers an attractive proposition.